Hi everyone! This is GiGi from The Cricut Bug and I have a Thanksgiving card and treat box to share. I started this project with a standard A2 card Base and cut the mat using the Card Mat Dies. I stamped the background with the Holiday Treat Tags and Autumn Designer Tapes coloring in some with Copic Markers. I cut the crow from the SVG Cutting Files Pilgrim Crows and stamped the face, paper piecing the eyes and beak, with a Peachy Keen Happy Penguin Couple face. I mounted him to mats I cut with the Stitched Circle and Scallop Circle Dies. 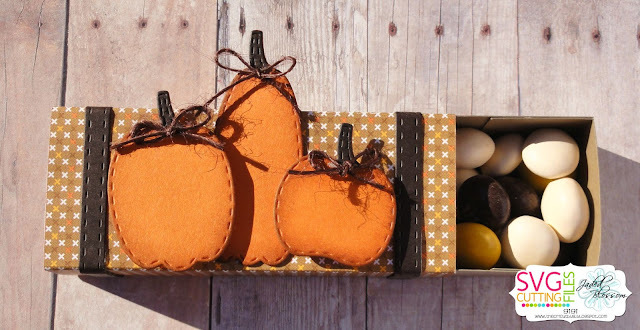 For the treat box, I used the SVG Cutting Files Scallop Matchbox and added the strips cut with the Border Dies. 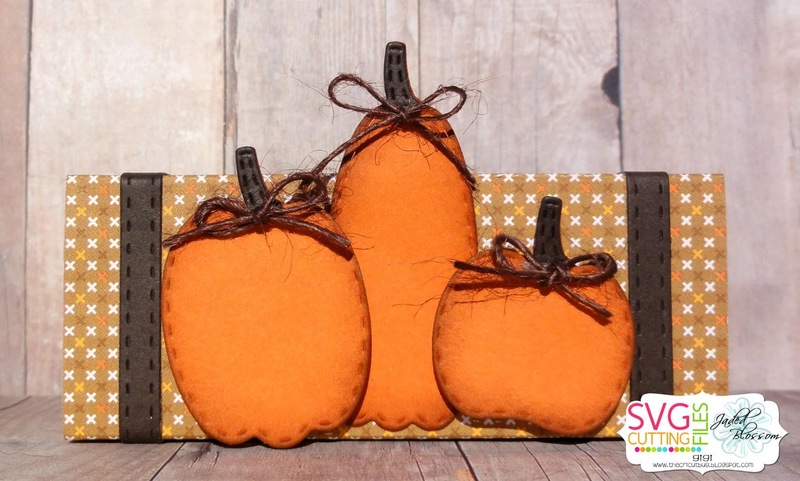 I cut the pumpkins from the Fall Dies and added jute bows. To finish, I added some Pecan Pie M&M's to the inside of the box. Get your Monthly Spotlight stamp set at a great price this month!